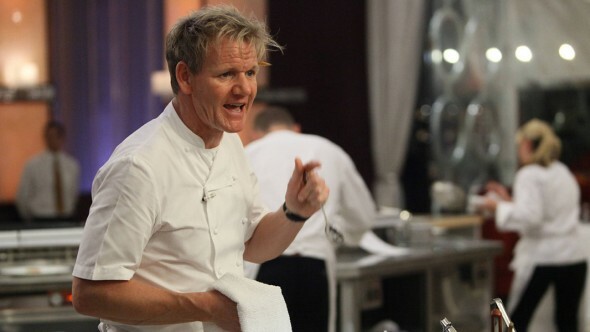 “Your best is not good enough!” FOX has released a new preview for season 17 of Hell’s Kitchen. The new season of Hell’s Kitchen premieres on FOX on September 29th at 8 p.m. ET/PT. What do you think? Do you watch Hell’s Kitchen? Are you excited for the all-star season? More about: FOX TV shows: canceled or renewed?, Hell's Kitchen, Hell's Kitchen: canceled or renewed? Well I have seen ever episode of Hell’s Kitchen and I love his show but after that last episode I will never watch another one again. Chef Ramsey really needs to wake up and eliminate the problems with the chefs instead of going for ratings. Dana was a hell of a better chef. But for ratings he lost my entire family and we wiĺl never watch his show again. I just wish they picked more wisely, I feel like it’ll be based on drama rather then cooking/leading ability, especially Ben who had no leading ability, plus the classic drama couplings of Nick and Josh, Elise and Jennifer, Barbie and Robyn. So glad Milly is there though, the one person who deserves it out of all of them. I can’t wait. Anything with Gordon, I love! Personalities. It should be fun! I can’t wait! Anything with Gordon I love. Plus the all-star line up has some Big personalities! It should be fun!